"SVAI is San Francisco based non-profit organizing scientific gatherings that contribute to disease research and help answer challenging problems in life sciences. SVAI’s research focus emerged from our ongoing monthly event series, regularly bringing together engineers and scientists. Our mission is to accelerate biomedicine research and educate through open collaborations in computational life sciences. 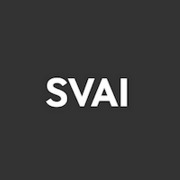 The SVAI community reaches extensively into the bay area’s AI/ML and biomedicine circles and we maintain strong relationships across industry, academia and startups." Join us on: Twitter, Facebook, Youtube, Github.